There are local churches that are growing in Southern Maine! I am very excited to be in the midst of a three week series of shaping messages for moving forward as a church. If you missed part one of “Becoming a Church that People Love to Attend” Sunday, the audio is now available online. I encourage you to click here to listen so you will be caught up and know where we are headed. Since the word has gotten around that I accepted your call to ministry at FBC, area pastors have been calling me to get together, chat and make introductions. Their welcome has been very warm and kind. But, a number of them have made me feel a little sad. I want to be careful how I say this because I do not want to discourage any of them that might read this. Some of the men I have met with are very tired and discouraged in ministry. While I am sure that have not intended to discourage me, I’ve had to determine to take some of our interactions and commit to praying that the Lord will refresh and spark them anew without allowing them to douse my enthusiasm with what I believe the Lord wants to do with us here at FBC. I am excited because there are churches that ARE growing in Southern Maine. From Eastpoint to the Rock Church to White Pine to Southcoast Community Church and more, I see examples every day of churches that are alive and vibrant. Yes, we are in a difficult part of the country but I want you to be encouraged with me that growing churches show us that it is possible! I see evidence already that the Lord is blessing us and bringing growth. The key to each of the growing churches that I see is that they are unafraid to take steps to connect the gospel with today’s culture. They are unafraid of change and taking risks. 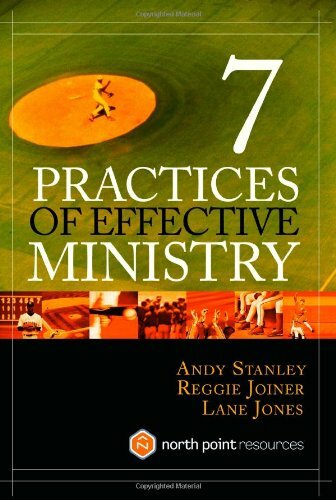 Sunday morning I mentioned a book by Andy Stanley titled, “Seven Practices of Effective Ministry.” I first discovered it while I was studying for my graduate degree in church growth and planting. It made total sense and, fact is, we are seeing churches that are following these principles growing all across the country. No, it’s not a program formula. It is more or a culture and approach to ministry. It’s a mindset. We will continue our series next Sunday and talk specifically about developing the second of three environments that help move people from outsiders to family in our midst. I am excited! I do believe that God is on the move in Southern Maine and I totally believe He wants us to be involved in what he is doing. determine which programs to start, what to stop, and how to improve what’s working. When implemented properly, these practices will energize every facet of your ministry. simply fill up their time. Ask yourself, “Where do we want our people to be? to say only what you need to say to the people who need to hear it. trying to reach, rather than those you’re trying to keep. 6. Replace Yourself. One day someone else will be doing what you are doing. Embrace the inevitable and prepare now for the future. doing and how you are doing it. I am reposting this here from my other blog to share something that happened Sunday during our commissioning celebration. “I have something for you,” Jen said. Her face wore her father’s half-smirk-half-smile that always made me wonder what he was up to. She stood facing me close enough that I could see the same spark that I used to see in her dad’s eyes when he would drop by my office to chat. Beau Crosetto recently wrote a blog post that gave me a lot to think about. We churches tend to program everything and focus on meeting after meeting and class after class. We tell our people to share their faith and then we give them an awkward, unnatural format that reduces the gospel to a sales pitch. Each of us has opportunities every day but we fail to recognize them. I am sharing Beau’s post below. I hope it gives you some new ideas and perspectives. Last week a few of my buddies and I went to play tennis. We needed a fourth player, and it dawned on me to invite a guy I play volleyball with. We had a great time playing that night. But when we were done, I wanted to see if God was up to more. So I asked this guy if he wanted to grab a drink and talk a bit in my man cave. He stuck around, and we talked ’til about 11:30 that night. My friend is Indian, with a Hindu background. He is very spiritual but has a completely different view of God than I do. We had a great discussion about faith, and at the end of the night I asked him if he would be willing to read a book with me and debate the ideas in the book instead of the ideas in our head. We are now chewing through Mere Christianity and talking about the ideas of truth, morality and whether or not there is one God. I am really excited to keep talking with this guy, but I almost missed the moment. I almost didn’t invite him. I almost went to bed when tennis was over, almost didn’t push into the spiritual conversation, and almost didn’t ask him to read a book with me. Well, here we are again … earning our reputation as a cantankerous, mean, judgmental, hurtful group of people. Christians. If you’ve missed the hubbub, Bart Willard of Mercy Me sent out a tweet on Twitter saying Ellen DeGeneres was funny and doing a good job hosting the Oscars. That unleashed a rash of mean and nasty responses from tons of church folks that was, frankly, embarrassing to me. Personally, I believe they also misrepresent our Jesus too. I am reblogging Bart’s thoughts on the whole mess here. He raises some excellent points. Thanks for your words, Bart. Might we all dare to fully believe that saturating Grace is available to all who discover Christ. Might we understand that our words, actions and attitudes have the power to attract or repel. Might we love like Jesus and trust the Spirit to do His work. Welp. The Spirit has given me the green light to say something. That’s it. And that post apparently ticked off a few religious folk. Now to be fair, I was referring to her hosting the oscars. Her twitter name is @theEllenShow, so maybe some thought I was referring to her actual show. I’ve seen her show once maybe twice, and as funny as those episodes were, I was in fact referring to her hosting the oscars. It’s Bruno Mars all over again, but I digress. I’ve honestly sat here reading every post, tearing through several emotions. Biting my tongue in anger. Pumping my fist with excitement when someone “gets it” and deeply saddened to see legalism alive and well. But I think the comments that have been the most difficult for me to swallow are the one’s wondering why I’d ever say anything at all. These were hard to read because I constantly struggle with the enemy telling me the same thing. 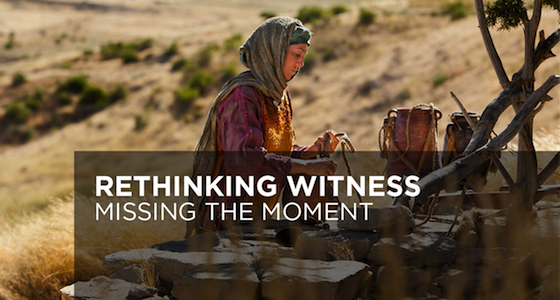 For a long time I’ve tried to figure out why the church, myself included, becomes so militant about certain issues. For me? It was too complicated and too messy to invest in someone’s life and love them where they are in hopes they’d meet Jesus, have the spirit dwell inside them and watch that same spirit finish the work He so graciously started. Instead, I’d look for the “holy high-5” by merely screaming, tweeting or facebooking how everything of the world sickens me and we should “love the sinner, hate the sin!” I absolutely HATE that saying by the way. How about we love the person, where they are? Know their name…invest in them so they start to see their “sin” doesn’t have to define them? Show them a gospel that is desirable, inviting and gracious instead of summing them up with a saying from a bumper sticker. I think the core of why we are the way we are is because most of the church has no clue who we are in Christ! I honestly believe that is the root of every problem we face! Why can’t we just love our neighbor as ourselves? Right? I’ve got good news and bad news folks! We Christians are actually pretty dang good at loving our neighbors as ourselves! It’s true! We hate ourselves! We’ve bought the enemy’s lie that we cannot be trusted. That we have a wretched heart. Therefore we love our neighbor about as much as we can muster the strength to love our sorry selves. When you grasp the grace and love Christ bathes over you, it becomes much easier to do the same to others. Not just to other believers, but all others! So give yourself a little credit. You now have the same spirit, who raised Christ from the dead, dwelling inside you! Oh and try letting that spirit lead you! Life becomes an adventure when you do. Was my tweet about Ellen spirit lead? Actually yes. Rarely do I post something without thinking of the repercussions it might have. In the past, I’d sometimes be afraid to stir things up, and other times I’d do it to spite people. For that I apologize. These days I really do try and follow the spirit. I don’t listen or get it right every time, but thanks to grace, it’s ok! Christ has already forgotten the moments that were NOT spirit led and will one day smile on all the moments that were! And hey! If you’re saying your need to defend a gospel that needs no defending is spirit led? I’d like to wrap this up by re-posting the scripture I started with, but this time from “The Message Bible.” It gave me a whole new perspective, yet speaking the same truth. I’m learning my walk with Christ is about perspective. Having the perspective that I’m a redeemed child of God who, until Christ calls me home, still wrestles with the flesh, rather than a genuinely bad person just trying to be good. And trust me, my new perspective has changed EVERYTHING! Sorry you had to see this Ellen, if in fact you ever do see this. Please know, contrary to some beliefs, there is a God who is madly in love with you…right where you are. And for what it’s worth…you’re still hilarious. “Christ has set us free to live a free life. So take your stand! Never again let anyone put a harness of slavery on you. I am emphatic about this. The moment any one of you submits to circumcision or any other rule-keeping system, at that same moment Christ’s hard-won gift of freedom is squandered. I repeat my warning: The person who accepts the ways of circumcision trades all the advantages of the free life in Christ for the obligations of the slave life of the law. I suspect you would never intend this, but this is what happens. When you attempt to live by your own religious plans and projects, you are cut off from Christ, you fall out of grace. Meanwhile we expectantly wait for a satisfying relationship with the Spirit. For in Christ, neither our most conscientious religion nor disregard of religion amounts to anything. What matters is something far more interior: faith expressed in love. You were running superbly! Who cut in on you, deflecting you from the true course of obedience? This detour doesn’t come from the One who called you into the race in the first place. And please don’t toss this off as insignificant. It only takes a minute amount of yeast, you know, to permeate an entire loaf of bread. Deep down, the Master has given me confidence that you will not defect. But the one who is upsetting you, whoever he is, will bear the divine judgment. As for the rumor that I continue to preach the ways of circumcision (as I did in those pre-Damascus Road days), that is absurd. Why would I still be persecuted, then? If I were preaching that old message, no one would be offended if I mentioned the Cross now and then—it would be so watered-down it wouldn’t matter one way or the other. Why don’t these agitators, obsessive as they are about circumcision, go all the way and castrate themselves! It is absolutely clear that God has called you to a free life. Just make sure that you don’t use this freedom as an excuse to do whatever you want to do and destroy your freedom. Rather, use your freedom to serve one another in love; that’s how freedom grows. For everything we know about God’s Word is summed up in a single sentence: Love others as you love yourself. That’s an act of true freedom. If you bite and ravage each other, watch out—in no time at all you will be annihilating each other, and where will your precious freedom be then?